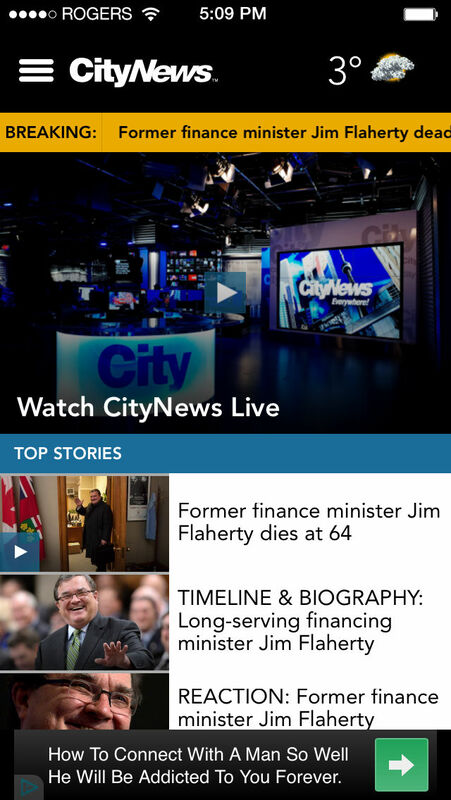 Out of the newsroom and on the streets, CityNews Toronto is “everywhere” and dedicated to covering the local news stories and events that shape our city. 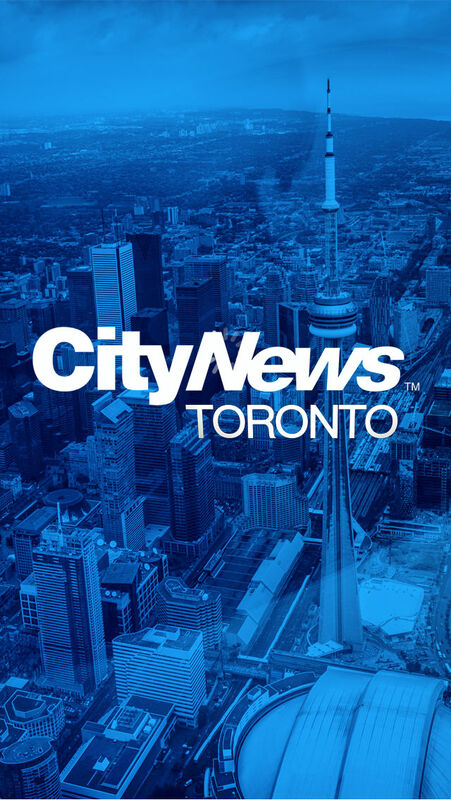 CityNews’ award-winning news team of trusted reporters, writers, anchors and meteorologists, share a hyper-local look at each day’s events across Toronto and GTA. Get up-to-the-minute news, breaking-news alerts, weather and traffic updates anywhere you are. 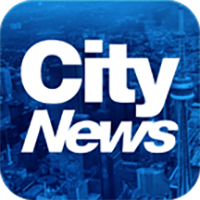 Watch a live stream of CityNews at 5, 6 and 11 p.m. each weekday as well as 6 and 11 p.m. each weekend. Watch live streams of major breaking news events as they occur from our cameras blanketing the city. 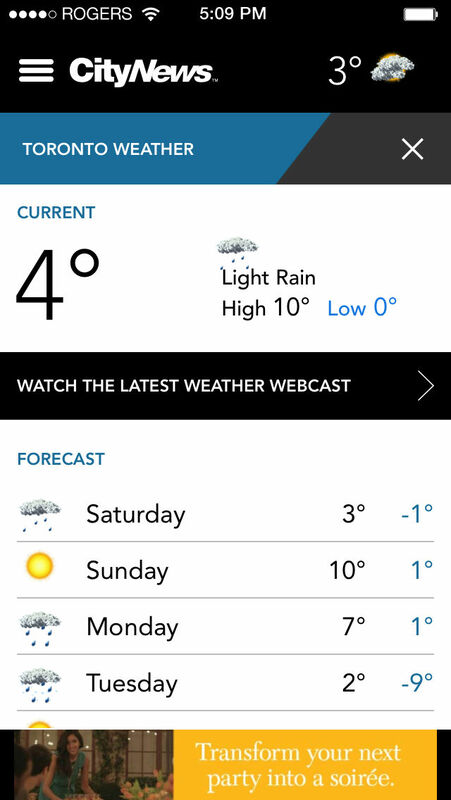 • Get real-time closures and cancellations information from the CityNews Storm Centre. 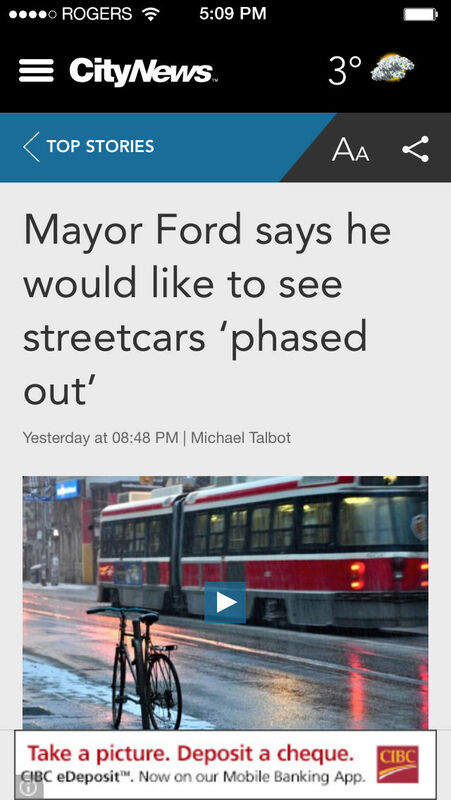 • Get the latest sports news and scores from Sportsnet.